Where Do The Electrodes Go? Update 9/6/12: Found for the first time, a study which equates electrode placement directly with the 10/20 positioning system. The study, Modulating activity in the motor cortex affects performance for the two hands differently depending upon which hemisphere is stimulated, was published in the European Journal of Neuroscience in 2008 and is available to download as a pdf or read in Quick View. But if laypeople are going to be experimenting on themselves, wouldn’t they need some sort of standard reference to enable sharing of specific electrode sites? Wouldn’t you like to be able to say something like, I placed the anode over the right dorsolateral prefronal cortex at F3 and the cathode over the left at F7? In that way it would be easy for someone else to replicate. I was looking for a diagram that would map the 10/20 system over brain regions, but didn’t find exactly what I was looking for. If you have any ideas about this please share in the comments. In the meantime here are a couple of basic brain info sites I found. These tend toward more basic information. Reversing (usual) placement of electrodes in a treatment-resistant major depression (TRD) study resulted in no apparent effect. Side effects did not differ between the two groups and in general the treatment was very well tolerated. Conclusion: Anodal stimulation to the left DLPFC and cathodal stimulation to the right DLPFC was not efficacious in TRD. However, a number of methodological limitations warrant caution in generalizing from this study. via Frontiers | A Randomized Double-Blind Sham-Controlled Study of Transcranial Direct Current Stimulation for Treatment-Resistant Major Depression | Frontiers in Neuropsychiatric Imaging and Stimulation. Needless to say, tDCS should never be tried at home because of these potential risks. Scientists using tDCS in a laboratory setting have the expertise and high-quality equipment to assure the safety of their participants. They also have equipment like EEG and MRI that can help them localize the appropriate brain region for stimulation, as well as the training to understand how and when tDCS could be safe and effective. If you’re curious about tDCS your best bet is to find a local university that studies tDCS and volunteer for an experiment. via Can Electrical Stimulation tDCS Enhance Your Brain Performance? Fact Vs. Myth | The ZocDoc Blog. I must say though, that there seems very little to worry about in the publication abstracts cited in the article. Very well worth reading. Modulating the brain at work using noninvasive transcranial stimulation. tDCS polarity effects in motor and cognitive domains: a meta-analytical review. Efficacy of repetitive transcranial magnetic stimulation/transcranial direct current stimulation in cognitive neurorehabilitation. Whoa! Digging a little deeper into the tDCS SubReddit I found this detailed account from a fellow who built his own tDCS device. Long comment thread as well. Gareth is experimenting with his own device and measuring protocol. This was his first post he recently completed his 4th experiment. My name is Gareth Morgan Thomas. I am an electronics engineer amongst many things and am interested in cognitive enhancement. To this end I have built a TDCs device and am awaiting my disposable electrodes which I will have in 2 days. I will initially use the protocols for math improvement and working memory. I also want to use drawing and art to improve my visual memory and imagination so I will use TDCs to this end also. My objective is general intelligence enhancement. At some point I will test my IQ and then again after various protocols. I will utilize the curve of forgetting to reinforce the TDCs rather than just using a protocol once. This blog is to be the journal of my experimentation. 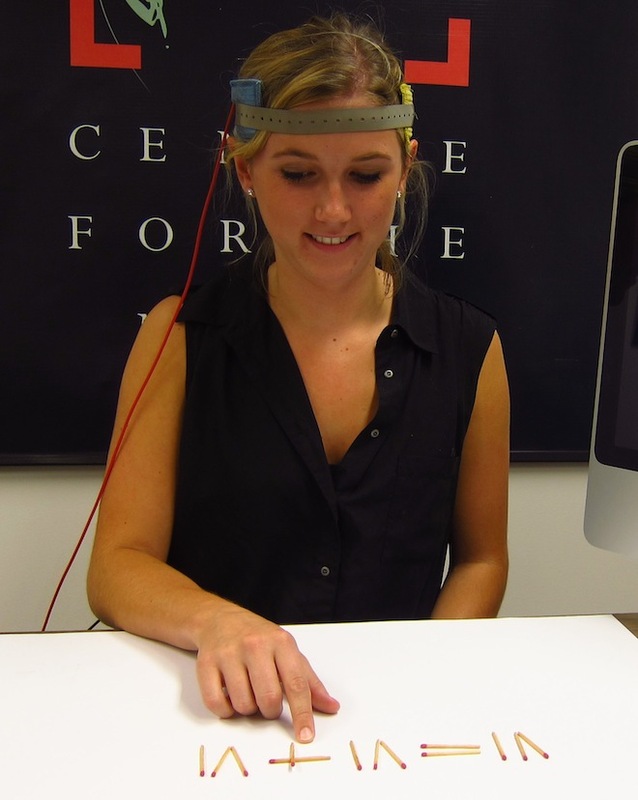 via TDCS-Transcranial-Direct-Current: My TDCs Experiment. This maybe isnt the normal theoretical question that you usually get, but you seem to know a LOT about this so i am hoping you can help and i dont know where else to turn. I really appreciate ANY help you can give. finding info for my purposes has been difficult and even if you can point me in the right direction it would be a great help. Fact is I don’t know that much about tDCS yet. I don’t own a device and I’m not a scientist, just very curious and in the information gathering stage. Probably the closest thing to an active tDCS board is this SubReddit http://www.reddit.com/r/tdcs. I’ll follow-up when I’ve read the manuals you linked to. Off hand though, I wonder how you’d know if tDCS was helping with your pattern recognition. Is there something you already have a lot of experience with that, were tDCS working for you, you’d be able to recognize the difference? I’m going to forward you comment to Petr at brmlab as well. He has more hands on experience. Great! Thanks for forwarding my question on and the forum idea. Thats a very good question about knowing if its working- especially because i dont think there is a study that dealt with pattern recognition. Aside from paying upwards of 50 grand to fund a study i dont know what else to do to be absolutely sure, although i am fairly confident given all the other studies positive results. I will be doing the studying anyway, so i figure its a minor cost in time and money and a “probable?” huge benefit. The top spot on the tDCS SubReddit right now is a guy who is doing self-experiments with the Cambridge Brain Science Challenge. They have tests that seem about perfect for our experiments in that many of them are generated by an algorithm, so they’re always different. I’m going to get a blog post up later this evening. Yeah i saw that- thanks! Im sure you saw i made my own post. Hopefully someone has some more knowedge on this than i do. Did you get a hold of the guy, Petr, you were talking about? He has some experience with this stuff? I may fold our conversation into a single comment. Good luck with your experiments and keep us posted. BTW, are you interested in getting a tDCS device? I could get in touch with a guy who will make you one (thats safe) and inexpensive but I will have to introduce you (he’s touchy about who he sells to due to regulations etc.). I think i got mine for $70 without the pads. yeah i was thinking the same thing but i finally gave in a month ago when they were denied by kickstarter. I dont think go flow is going to do it for legal reasons- they are in over their heads. Do you think the results will be different though? The only variables i see 1) current flow – my ammeter shows the current flow on my device and its pretty steady 2) the type of electrodes people use which can vary greatly because goflow showed sticky TENS pads which dont work on a hairy scalp, and then if people buy sponge electrode pads there the big variable of 3) How wet they keep them with a saline solution and what type of saline solution they use. Im kinda thinking out loud but in my mind it seems go flow is not going to provide a consistent tDCS experience. We’re thinking along the same lines. And I agree, as I’m learning more about it, the electrodes are turning out to be more complicated than I thought at first. If not GoFlow, maybe a kit of some kind, or even a list of specific Radio Shack parts. I don’t think the results will be that different, but it would be great if we were all on the same page, exactly. Same device, same electrodes, same montage (I guess that’s what it’s called – where the electrodes are placed), and same tests. It would be amazing if we could get some oversight from a lab that wanted the data. Hey you’re welcome to contribute to this blog if you feel like sharing some of your experiences some time. And this is interesting. Looks like CUNY is about to spin off another company. Neuromatters Perhaps the brainchild of Paul Sajda. Timothy Sexton has been covering tDCS on the Yahoo Contributor Network. You name an antidepressant and I have tried it. I have even been on the verge of getting electro-convulsive therapy to treat my depression. And yet not once-not one single time-have I ever heard any of these doctors bring up transcranial direct current stimulation or use the term tDCS. As a writer and a victim of clinical depression, I have collected a small library of books related to health concerns. Many of these books specifically focus on alternatives to mainstream American approaches to treating illnesses. Not a single one of these books mentions tDCS at all. Not for improving cognition, not for treating pain and not for treating depression. Nada. Nothing. Zilch. I am going to be undergoing tDCS treatment for depression myself and follow-ups to this article will provide a first-person investigation into how this alternative treatment actually affects mood and behavior. I’ll be keeping an eye out for Timothy’s follow-up. via Transcranial Direct Current Stimulation (tDCS): The Most Effective Treatment for Depression You’ve Never Heard Of – Yahoo! Voices – voices.yahoo.com. To provide a web-based platform for the controlled assessment of cognitive function in targeted groups of individuals for the purposes of scientific investigation, including clinical and pharmaceutical trials. The Cambridge Brain Sciences platform has recently been used by a major pharmaceutical company to conduct an entirely web-based trial of a novel compound. Clinical trials involving various patient groups are also underway. (Would like to know more about this ‘novel compound’.) And here’s an example of one of the tests. The Odd One Out task differers from Raven’s and Cattell’s intelligence tests as the problems are generated on the fly using a complex set of algorithms. Due to this on the fly generation, and the ability of the task to generate many tens of thousands of novel problems, the task is suitable for training reasoning abilities or taking many repeated measures as the participants cannot learn the answers to specific problems by rote. Instead, they must solve a novel set of problems each time they undertake the task. This seems to me the perfect solution for a standardized set of tests to measure our performance while using tDCS devices. What remains is some sort of methodology for setting up the electrodes. PS. I don’t own a tDCS device yet. I think that for me, the thing to do now that I’ve found http://www.cambridgebrainsciences.com, even before I have a tDCS device, is to see if I can affect my test score outcomes using a variety of ‘brain hacks’. For example, this list from Jonah Lehrer http://www.wired.co.uk/magazine/archive/2012/05/features/the-new-rules-of-creativity?page=all Jonah also mentions in various podcasts I’ve listened to around the release of his latest book, “Imagine, How Creativity Works” that both cannabis and alcohol can improve performance on certain kinds of challenges. (Those benefiting from an active right hemisphere.) 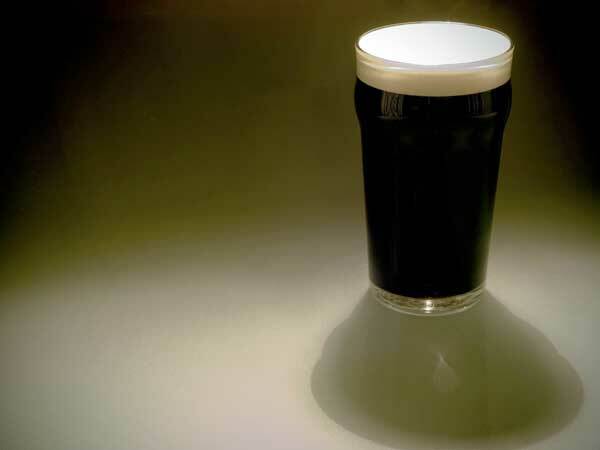 Imagine having tested sufficiently to be able to state, for instance, that: Under the influence of two 12oz bottles of Guinness consumed within a period of 30 minutes, I was able to increase my Monkey Ladder score by a solid 10%. When it’s looked in all the obvious places to no avail, you experience mental deadlock. This is a signal to the brain that a new search process is required. 2. Brain activity now shifts to the right hemisphere. According to neuroscientist Mark Beeman, this side is responsible for seeing the big picture. Now you can grasp subtle connotations — the punchline of a joke or the meaning of a metaphor. The switch allows you to explore unexpected associations and perspectives. 3. Thirty seconds before your “aha” moment, there is a sudden burst of brain activity called a “gamma-wave rhythm” which, says Beeman, is the highest electrical frequency generated by the brain. It comes from neurons forming new connections. The spurt of activity comes from the anterior superior temporal gyrus, located on the right hemisphere, just above the ear.